At Superior Air, we continuously update ourselves with the latest HVAC technologies. We also only use state-of-the-art equipment, which helps us deliver flawless workmanship. These are only some of the many reasons we managed to stay in business for over 24 years. Today, your heating and air conditioning repair expert talks about the different HVAC services that we offer. Regardless of your HVAC system’s quality, it won’t work at its best with a shoddy installation. That’s why you should leave this job to qualified technicians like us. 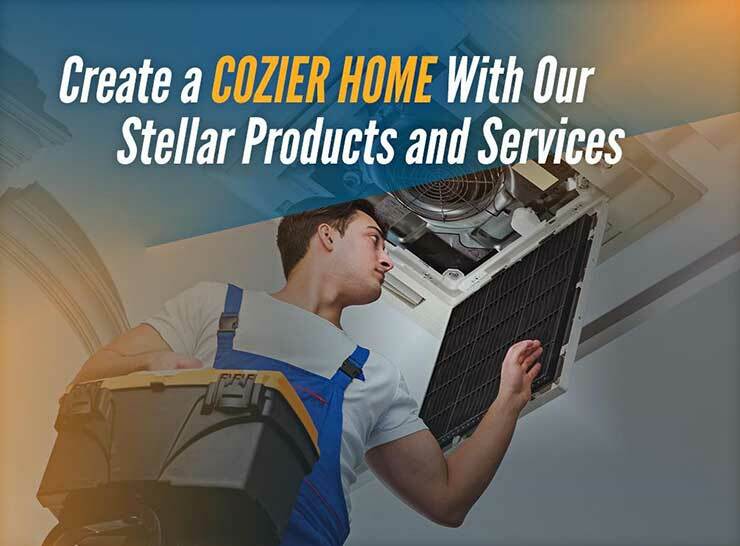 As a Carrier®-certified contractor, we comply with industry standards and use the best installation practices to carry your HVAC replacement to perfection. We’ll even help you find the right energy-efficient products for your unique needs. Your HVAC system works around the clock to keep your preferred comfort levels, which is why it needs timely repair and regular upkeep. Doing so will help extend its service life and reduce your utility costs. More importantly, it spares you from serious damage and premature failures. As soon as you spot strange noises, erratic temperatures, poor airflow, or other problems, count on us to address them immediately. We’ll provide the best solutions to make sure your HVAC units run smoothly again. We’ll also work with you to come up with a heating and air conditioning maintenance plan that suits your needs, budget, and schedule. It’s not enough that your home is comfortable; it should have a healthy environment for your family as well. For this reason, it’s best to take advantage of our state-of-the-art products to improve your indoor air quality (IAQ). We’ll help manage your living space humidity levels while eliminating contaminants, so you can prevent the risks of health issues. For efficient heating and air conditioning installation, look no further than Superior Air. Give us a call today at (559) 734-2002 or (800) 462-0020 to learn more about our products and services. We serve Tulare and nearby communities in CA. Copyright © 2019 Superior Air. All rights reserved.